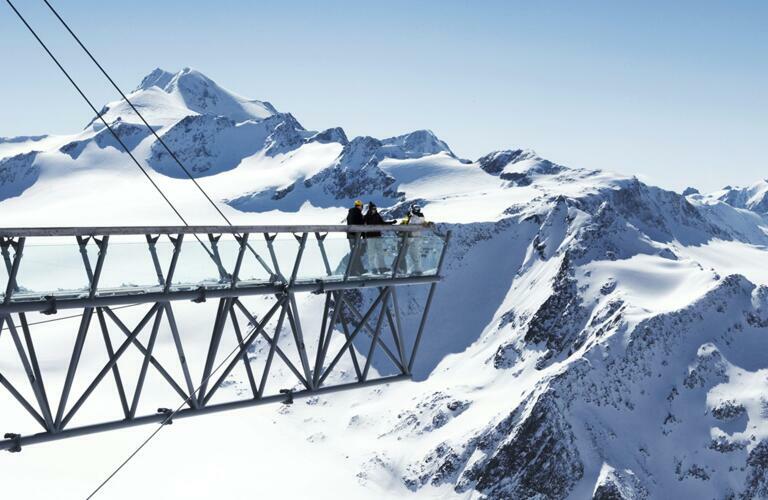 High above the Hotel Bergland is the Sölden ski area with its two separate glaciers: the Rettenbachferner and Tiefenbachferner, two of the largest skiable glaciers in Austria. From the village of Sölden the snowsure slopes can be accessed via the 14km Ötztal Glacier Road. In autumn and winter we recommend that drivers use winter tyres and carry snowchains with them at all times. 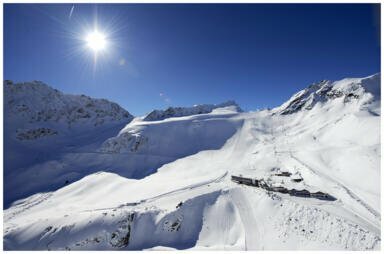 34 kilometres of pistes and nine lifts & cable cars make the glacier ski area at the end of the Ötztal Valley an ideal destination for those who simply can't wait for winter to arrive. While the Tiefenbachferner glacier is known for its wide and gentle slopes, the pistes on the Rettenbachferner glacier are steeper and more challenging. 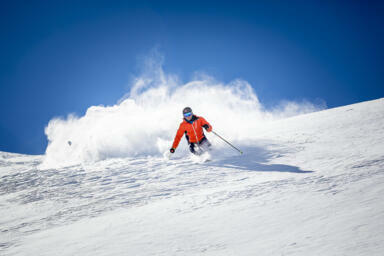 Experience pure skiing pleasure and 100% snowsure slopes combined with breathtaking views of the Ötztal Alps! The ideal altitutde on the Rettenbachferner and Tiefenbachferner glaciers ensures perfect snow conditions from October all the way through until May. 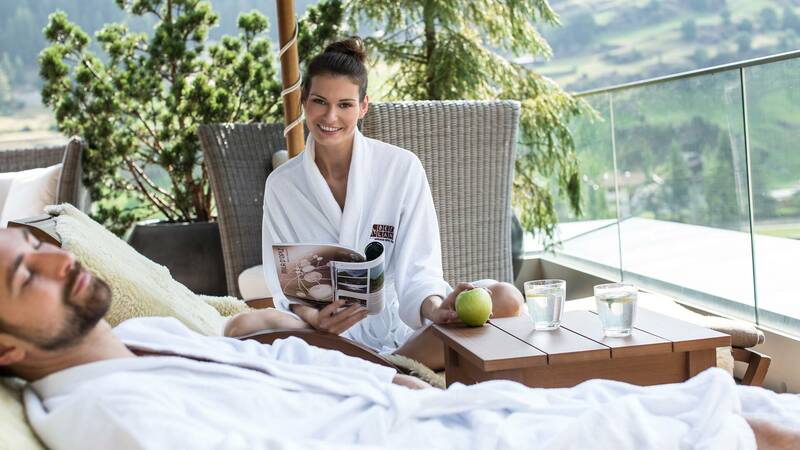 Guests staying at the Hotel Bergland can use the ski bus or shuttle for car-free access to both the glaciers. Sölden is the only glacier ski resort in the world with its own test centre where skiers and boarders can try out all the latest equipment at the start of each season.